The trend of mobile marketing has become an integrated part of internet marketing, due to such fast development of mobile technology and the growing usage of mobile devices for searching information online, as well as for social interaction. It is estimated that more than half of users accessing the internet are doing so via mobile devices. This trend has been increasing for the past few years, and the experts predict that it will increase even further in the following years, as mobile technology is developing constantly to enable a huge range of services and opportunities for online users. The goal is to enable smooth mobile experience for the users who choose these types of devices instead of using computers. Therefore, mobile optimization is one of the highest priorities for webmasters, who have to be aware that mobile-friendly website is appreciated by the users. The mobile users are more likely to revisit and recommend a website that is well designed and responsive on mobile devices. How to optimize your website for mobile devices? Having in mind the importance of mobile optimization, here is how you can optimize your website in order to provide best experience to the mobile users. Responsive design allows you to optimize the website for multiple devices, which makes optimization process much easier. Instead of creating separate websites for mobile devices, using responsive design will enable your website loading on different devices. In fact, according to the Google’s guidelines, it is recommended that you use responsive web design, as otherwise, your website might lose ranking due to the fact that it is not accessible via mobile devices. Since Google strives to provide perfect user experience, and mobile users are part of those who use Google regularly, Google needs to address this issue and promote only those websites that allow users to access them via mobile devices. This way Google keeps its results relevant and trustworthy. The second option for solving the problem of mobile optimization is to provide different pages or URLs in order to provide mobile-optimized version of web pages available on your website. This way you provide customized user experience to the users based on the device they are using to access the website. Your server will have to detect the device that is being used to access the website, and based on that, the server will present the adequate version of the website. Location-based services are integrated into a lot of websites and social networks nowadays, which makes local aspect very important part of mobile marketing. Since most users use mobile phones to access social networks, you should integrate the local aspect of social networks into your internet marketing strategy, as this can help you get exposure through local searches. This means that online users are looking for local information using their mobile device, and if you optimize your website for mobile devices, you increase your chances of them finding you. Not only will this approach help you generate more traffic on your website, but it will help you with branding and acquiring customers. In addition, usage of social profiles, where users can check in and review locations, is an excellent way to improve your visibility on social networks and improve the influence of social media marketing on your overall business strategy. According to the data from Google’s ‘The Mobile Playbook’, which features the recommendations and the results of several researches about mobile aspect of online marketing, 94% of smartphone users search for local information online. 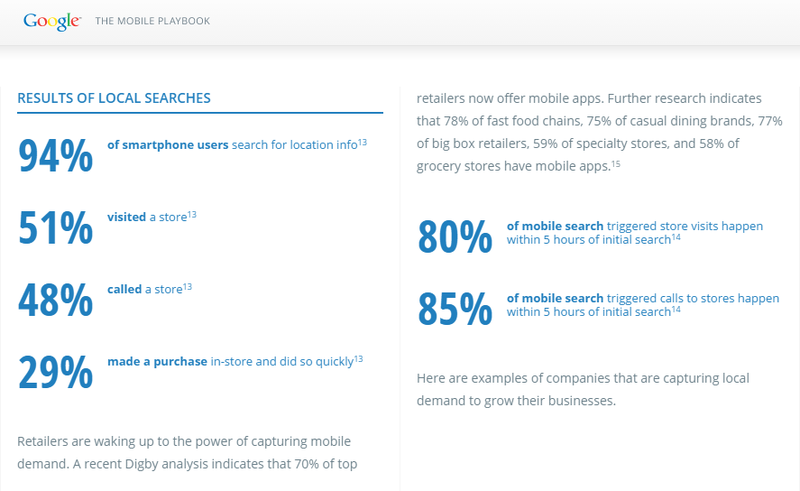 Based on the same report, 51% of those users visited the store they found online. The main reason, why optimizing internet marketing for mobile devices is so important, is the users. Having in mind that the percentage of mobile users increases constantly, you have to be aware that your target audience is going mobile, and you have to do so as well. If you want to reach mobile users, you need to be able to meet them on mobile platforms, regardless if you use social media accounts, mobile-friendly website or your own app. All of these are platforms typically launched for mobile devices, and in order to stay competitive on the online market, you need to be able to connect through these modern media of communication. Secondly, the latest algorithm update of Google search engine, introduced in April 2015, reduces the ranking of the websites without mobile-friendly design. Mobile-friendly update is going to boost the ranking of mobile-friendly pages in the search engine results. This type of websites allow easier browsing via mobile devices, as the text is readable without tapping or zooming. It is also important to avoid having unplayable content and horizontal scrolling, while tap targets should be spaced so that they are easily noticed by the users and so that the users can easily tap on them. 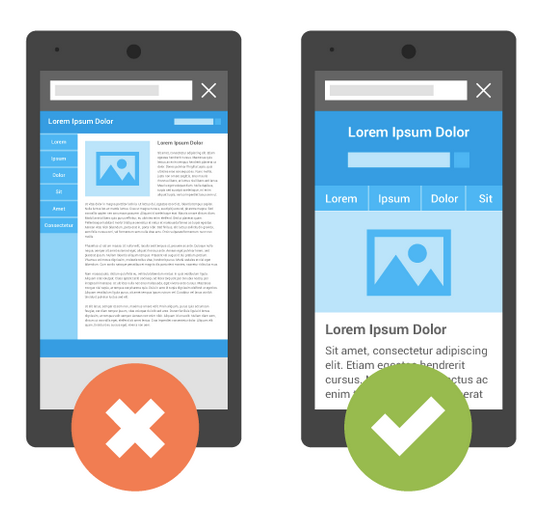 The test will show you whether your website is mobile-friendly, and if you get negative results you should address this issue, as it will have negative impact on the performance of your website. The statistics are supporting the fact that the users are using mobile devices increasingly, which is why you need to focus on mobile optimization and mobile analytics in your internet marketing strategy. You want to leverage the mobile platforms into expanding the influence of your business, rather than investing into your website exclusively and neglecting the huge potential of mobile marketing.